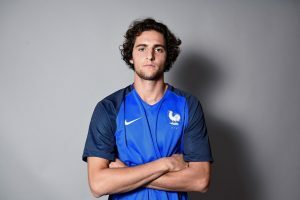 According to the latest reports from the Mirror, Tottenham Hotspur fear that their long term target Adrien Rabiot might be snapped up by either Liverpool or Barcelona in the upcoming summer transfer window. Spurs have gone over a year without signing a player, and Rabiot’s name has been doing the rounds for quite some time now. The midfielder is in the final few months of his contract with the French heavyweights and has most likely played his last game for the club back in December last year. 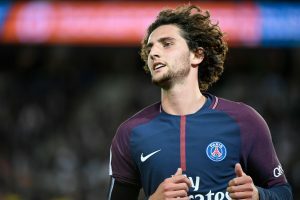 The club has suspended the 23-year-old and it is clear that it’s just a matter of time before Rabiot finds a new club. Tottenham recently sold Mousa Dembele in the January transfer window and they would definitely want to add another central midfielder to their repertoire. Meanwhile, Pochettino should be applauded for the excellent job he has done without splashing any money in the transfer market over the past year. However, the board needs to back him soon if they want to keep pace with their other rivals. Rabiot would fit in well in the current Spurs system as he is tidy on the ball and is often tough to dispossess when on song. The midfielder would remind some of the Tottenham fans of their former player Luka Modric who is currently one of the best central midfielders in the world. Barcelona recently secured the signing of Frenkie De Jong in January, and that could mean that they might ease out on the signing of Rabiot in the summer (Our opinion). On the other hand, Liverpool will be a top contender to sign him as the Merseyside club is on an upward trajectory under Jurgen Klopp. The French midfielder was in the news in 2018 for all the wrong reasons as he decided to stop playing for France after he was ignored for the 2018 FIFA World Cup. Later on, he decided to not extend his contract with PSG so the home fans once again turned on him. 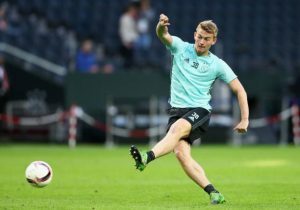 However, there is no doubt over his footballing abilities which might help him fit seamlessly in most of the top teams across Europe. It could come down to which club wants him more so Spurs should consider keeping him at the top of their wish-list especially after they lost Mousa Dembele last month. Arsenal Make This Bundesliga Defender Their Top Summer Target: What Can He Add To Emery’s Squad? 3 Alternatives For 23 Y/O French Midfielder At Manchester United Including This Serie A Midfield Ace!